AP CEO Released G.O. 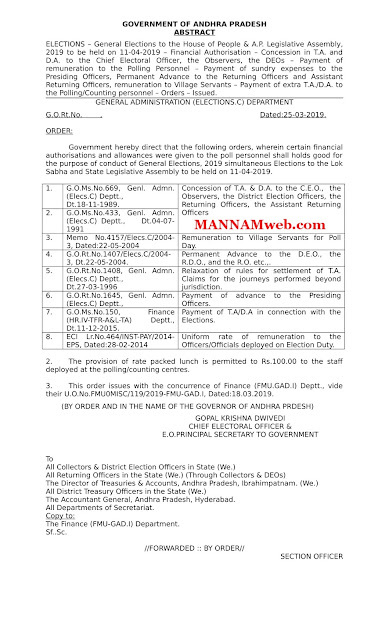 Rt No 695 GAD Dt 25.3.2019. in Regard to payment of Remuneration To polling personnel for General Elections 2019. 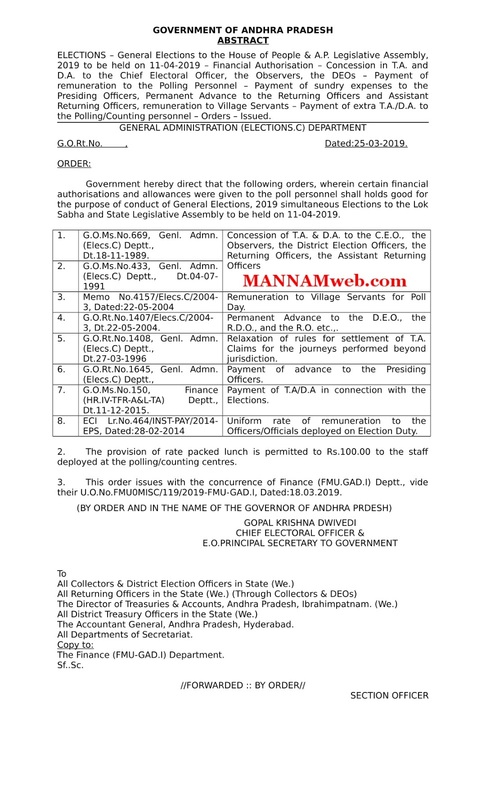 ★ Follow The rates applied for GE 2014 vide the ECI Lr No dt 28.2.2014. ★ Presiding officer:RS 350 per day. ★ Polling officer:RS 250Per day. ★ Class IV:RS 150per day. ★ Packed lunch :RS 100per head per day.